Wholesale Trader of a wide range of products which include l&t changeover switches, l & t switch disconnetor and l&t mccb circuit breaker. We have been trading and supplying the L&T Changeover Switches. The offered changeover switches are available in open execution and stainless steel enclosure variants. Our offered switches have a high withstand capacity and a long electrical lifespan. The offered switches are staggered terminals which are provided unique flappable handles. Our offered switches prove to be phase barriers in the events of circuit failure. We are one of the leading traders and suppliers of L&T Switch Disconnector. The offered switch dis-connector is used to de-energies the electric circuit. Our offered switch is provided with quad break contact system for positive isolation of fuses. Our offered switch is very suitable for copper and aluminum terminations. The offered switch can be vertically and horizontally mounted. Our offered switch is provided with clear on and off indicators. We have been engaged in the trade and supply of L&T MCCB Circuit Breaker. 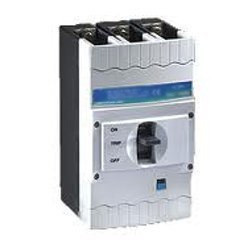 The offered circuit breaker is available in multiple variants for varied electrical usages. Our offered circuit breaker is made in conformance to the international quality standards. The offered circuit breaker is a comprehensive kit for the electrical circuit disconnection. 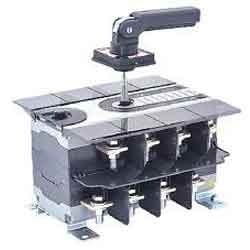 Our offered circuit breaker is a finger proof terminal.